Henry Fuerte was born in the US to a Jewish family. 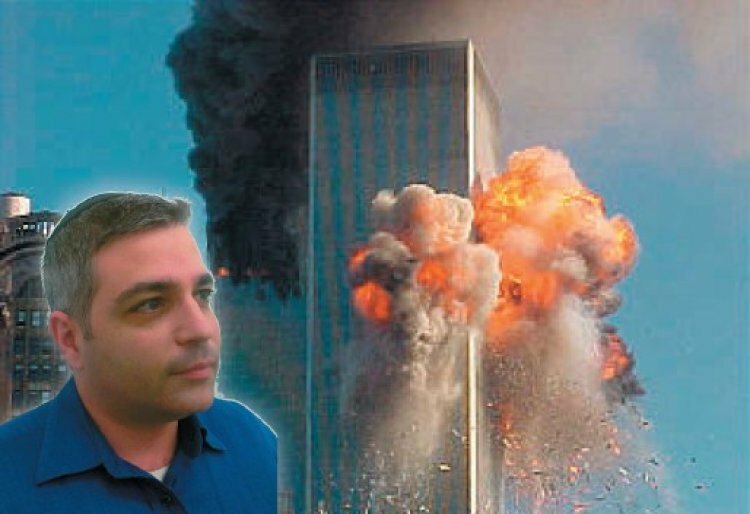 He had completed his Bachelor’s degree in biology but ended up becoming a computer and technology expert employed on the 90th floor of North Tower of the World Trade Center in an international insurance company Marsh & McLellan. “That Tuesday was Election Day for mayor and I came to work late. Normally I’d be at the office at 8:00 am but I came approximately 8:45. I saw my boss coming out of the elevator to get a coffee in a coffee shop right by the World Trade Center. We smiled at each other and continued on our way”. What Henry didn’t know was that was the last time he’d see his boss. He was killed and buried under the wreckage of the tower that came down on the shop only to be found 2 months later. Fuerte took an elevator up to the Sky Lobby on the 78th floor. He was on his way to the next elevator up to the 90th floor. The elevator came and the door opened. As he entered he was immediately thrown backwards out of the elevator from a huge blast. The blast was from a plane crashing into the building 12 flights up from him. It was the American Airlines Flight 11, coming from Boston Logan Airport which slammed the building and whose explosion sent Henry sprawling. Fuerte and others found the emergency stairs and went down. “When we got to the 35th floor we met firefighters passing us on the way up. We made place for them to pass we went down single file and they went up. Fuerte was on autopilot singularly focused on getting out of the area. He descended the tower in pain from the blast that hurt him and saved his life hurling him from the elevator. The second tower got hit. Fuerte got out of the building and ran towards the Brooklyn Bridge. 2 days later Fuerte was back at work as if nothing happened but after 6 months of routine he began having post trauma symptoms: depression accompanied by trembling, hallucinations and nightmares. Shortly before he decided to move, Henry met the young woman who would later become his wife, Michal Michelle. “I went out with a lot of young women but all of them ran away as soon as I said the word ‘Israel’”, Henry says with a smile. He went out with Michal 4 times and then decided it was time to move to Israel. Michal ended up coming immediately afterwards for a friend’s wedding and stayed for 4 more months. When she was about to get on a plane back to the States Henry ran and got her a diamond ring and proposed to her. She said ‘yes’ and they got married in August 2006. Grateful for the miracles he experienced, Henry came back to Judaism and keeps Torah and Mitzvoth. Henry, his wife Michal and 2 children Maayan and Gabriel live in Modiin and they thank G-d for his great kindness and compassion.